As Ewa Demianowicz enters a Cambridge warehouse filled with rows of crated canines rescued from a dog meat farm in South Korea, she considers the more than 60 dogs fortunate to have escaped certain death. The campaign manager for Humane Society International Canada, who just days ago helped rescue 200 dogs from the farm outside of Seoul, says she knows what life was like for the dogs, and what fate was in store for them. Another 30 are expected to arrive from the Pearson airport shortly. As she walks by their cages, housed at Cambridge’s Sharp Transportation warehouse before heading to the society’s emergency shelter in Montreal, Demianowicz recounts the rescue that unfolded less than a week ago. She was among the workers who freed dogs from crowded cages, flying them in shifts to their new destinations. For the activist, the dogs are more than just lucky. Demianowicz believes they will live another day to share in a bigger story about progress for animal protection. Ninety dogs will be temporarily cared for in Cambridge, before heading to Montreal, where they will receive medical attention and behavioural supports before being eligible for adoption. This is the fourth time rescues have come through Cambridge, thanks to the support of Sharp Transportation, which not only helps with transportation, but offers its warehouse as a recovery place for the dogs mid trip. The warehouse full of barking dogs, while a hectic and loud scene, also serves as a rebirth opportunity. These new days are among the first times the dogs will receive quality food and water, and much-needed exercise during leashed walks. More importantly, the dogs are learning what it means to hear a friendly voice and feel a loving scratch behind their ears. Sleep comes easier now for Demianowicz, knowing the rescues are safe from slaughter. “Just seeing these dogs bound in those cages, and knowing they never left the cage. They leave it only to be killed. There’s no walks, there’s no interaction with humans." Living conditions on farms can’t be erased from memory, insists Demianowicz. Stacked wire-bottomed cages at the farm resulted in feces and urine flowing from top to bottom. There were no attempts to clean cages, including those housing pregnant dogs and puppies. The odour is overwhelming, taking your breath away, she recalls. “It’s always the first thing you notice. I don’t even breathe in. I try to breathe through my mouth because it’s too strong." But the rescues are proving resilient, pouncing and prancing while walking through the warehouse Wednesday morning. Many are social and crave attention. Human interaction had previously consisted of a farm hand dispensing a daily stew of restaurant waste and vegetables, mixed with water for hydration. 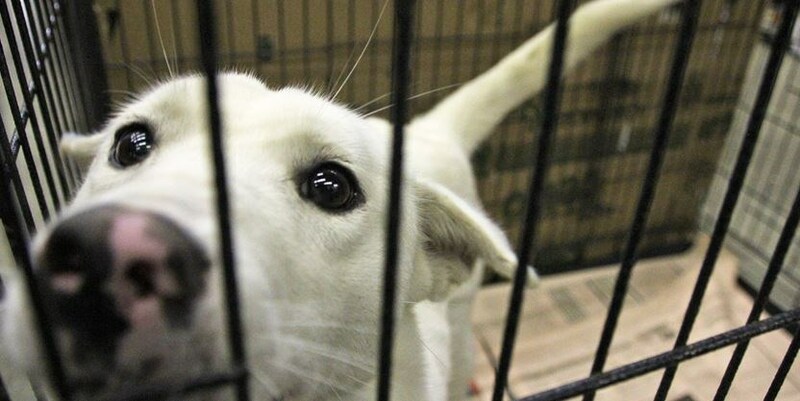 The Canadian arm of the international humane society has been instrumental in leading the effort to dismantle dog meat farms in South Korea, the only country still raising and slaughtering dogs for human consumption. The industry is in “legislative limbo”, as dogs aren’t considered livestock, and there are no regulations for keeping dogs for human consumption. Farmers breed dogs, or take in strays and dogs abandoned by their families. While dogs are supposed to be slaughtered under regulated conditions — and not on farms — Demianowicz said the society has observed countless breaches, and even found electrocution equipment on the farm shut down this month. Gradually, cultural changes are underway in the industry, as activists help farmers establish new livelihoods. The humane society, notes Demianowicz, isn’t merely imposing its beliefs on South Korean farmers, but supports local animal cruelty prevention campaigns aiming to treat dogs as companions, not food.